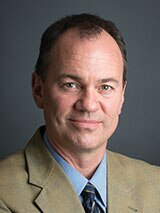 Dr. Marc C. Conner is the Jo M. and James M. Ballengee Professor of English at Washington and Lee University in Lexington, Virginia. Professor Conner earned his bachelor's degrees in English and philosophy at the University of Washington and his master's and doctoral degrees in English literature at Princeton University. At Washington and Lee, Professor Conner received the Anece F. McCloud Excellence in Diversity Award in 2009 and the Outstanding Teacher Award in 2004. In 2005, he restructured the department's introductory Shakespeare course into a dynamic and interactive seminar on Shakespeare as both poet and playwright, emphasizing the dramatic elements in the plays and producing an annual Shakespeare play performed by students. Professor Conner teaches a regular course on performing Shakespeare and has taught and lectured on Shakespeare to a variety of audiences. A dedicated advocate of global study, he created the Spring Term in Ireland Program, which he has directed six times, taking students to Ireland to experience Irish literature, culture, and history. With a scholarly focus on 20th- and 21st-century narrative and poetry in several national traditions, he has edited or coedited four books and has published more than 40 essays, articles, and reviews.